If you like your comedy served up raw, tasty and deliciously funny, D.L. Hughley is definitely your kind of stand-up guy. This is the uncut and outrageous Showtime special where Hughley skewers topics ranging from race and religion to politics and crime. 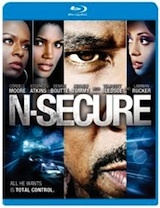 This no-holds-barred drama has become a cult favorite and features a star-studded cast headlined by Cordell Moore, Essence Atkins, Denise Boutte, and Lamman Rucker. Supporting cast includes Elise Neal, Tempestt Bledsoe BernNadette Stanis, and Thomas 'Nephew Tommy' Miles.